Hey you out there. Did you know LG is planning on announcing a new flagship phone later this fall? No? Well apparently neither did a few users on Joseph Gordon-Levitt’s collaborative video site HitRecord, when they started posting videos showing off the rumored LG V30. While the videos have since been pulled from HitRecord, we managed to grab a few screenshots before they disappeared. 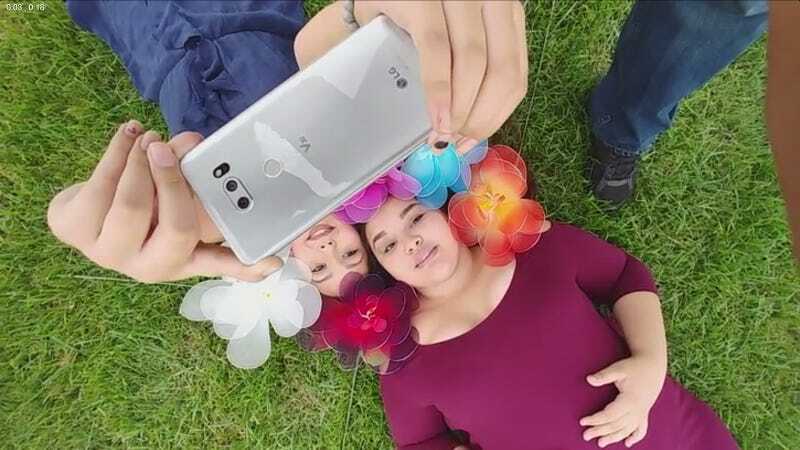 The most definitive images came from user RandyAzarga’s page and featured videos that showed both the front and back LG’s supposedly upcoming flagship phone. The footage is a little blurry, but you can clearly make out the V30 logo in the middle of the phone’s back, which also sports what looks like a glass body that appears quite similar to what you get on the LG G6. According to footage showing the front of the phone, the phone’s camera UI also looks almost identical to what you get on LG’s current phones. You can see the same iconography for the dual camera buttons on top, while another video from user Mcgannfamily shows the same kind of manual video controls that LG has had for years. It seems pretty plausible that the phone in question actually is the LG V30. A recent post from Gordon-Levitt discusses HitRecord’s partnership with LG for the third year in a row to provide LG devices in order to help users capture videos for upcoming projects. And if the phone in question is indeed the V30, these videos would confirm LG’s elimination of the V-series traditional second screen feature. While we don’t know if the leak was intentional or not, either way, it seems like a pretty lackluster way to showcase a phone that LG is hoping can turn around poor sales performance for its mobile division. We’ve reached out to LG for comment and we’ll let you know if we hear back.